Apple is set to release iOS 9 on Wednesday, September 16, 2015. 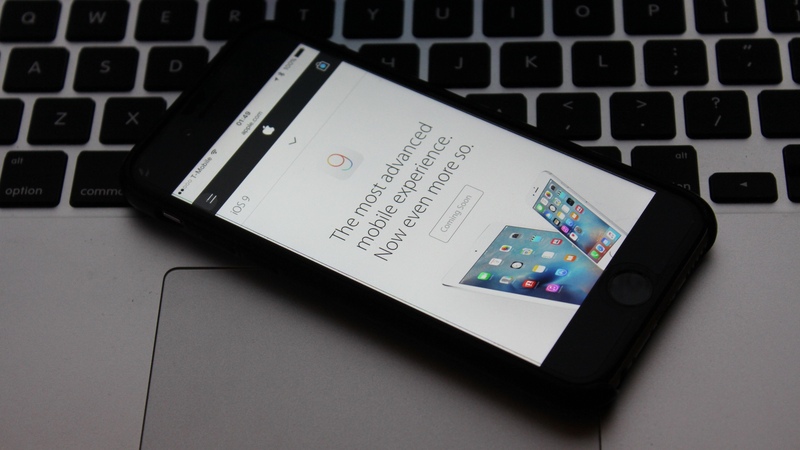 One of iOS 9 features that gained a lot of attention is what many calls as “Ad-Blocking”. Apple calls it Content Blocking Safari Extensions. Content Blocking gives your extensions a fast and efficient way to block cookies, images, resources, pop-ups, and other content. This would be the beginning of “Ad-Pocalypse”. Publishers should have realized that there are ways to display ads without alienating the readers. Irrelevant and annoying ads would only drive readers away. Extended page-loading time paired with clickbait-ads are disservice to the readers. Promise of of targeted-advertising are nothing but privacy-invading tracking system. One would wonder why a site would have the need for 16 different trackers and analytics. Take a look at one of The Macalope’s columns at Macworld. There’s the “Promoted Links by Taboola” which is one of the most irrelevant ad-networks on the Internet. Then there’s a “Dell Latitude 11 3000 Series Laptop” ad. 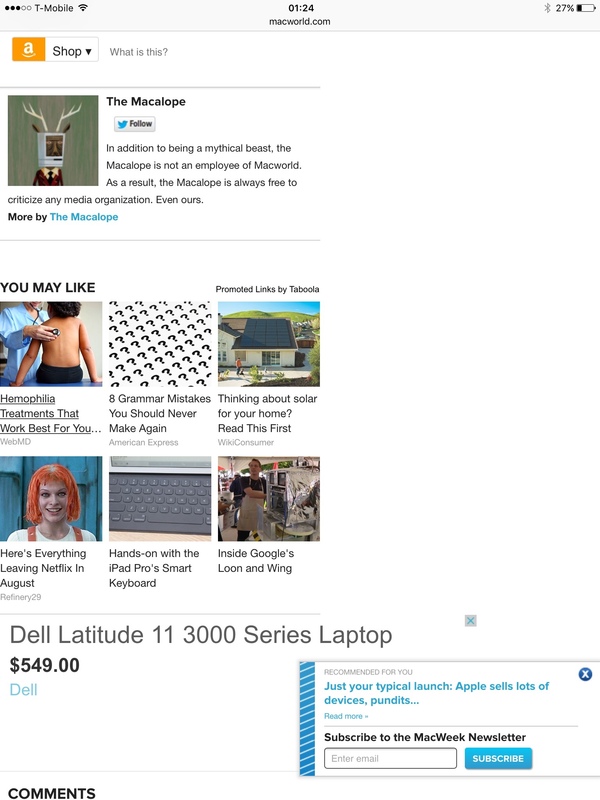 A Dell advertisement on an Apple/Mac-oriented site! Don’t forget the Amazon Affiliate link on the top of the screenshot. Three different monetization scheme in 2048-pixel span. There are a lot more in the post. Shame on you, Macworld! Daring Fireball and The Loop are much smaller operations compared to others. What these two sites have done are good examples in presenting ads the right way. Remember that readers could easily walk away whenever they find sites being unfriendly. The Ad-pocalypse is coming, at least to the iOS platform.